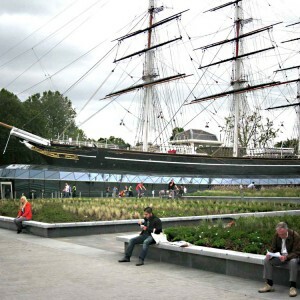 OKRA: Through history the site of Cutty Sark gardens has been a fascinating location, it represents a pioneering place with international allure. 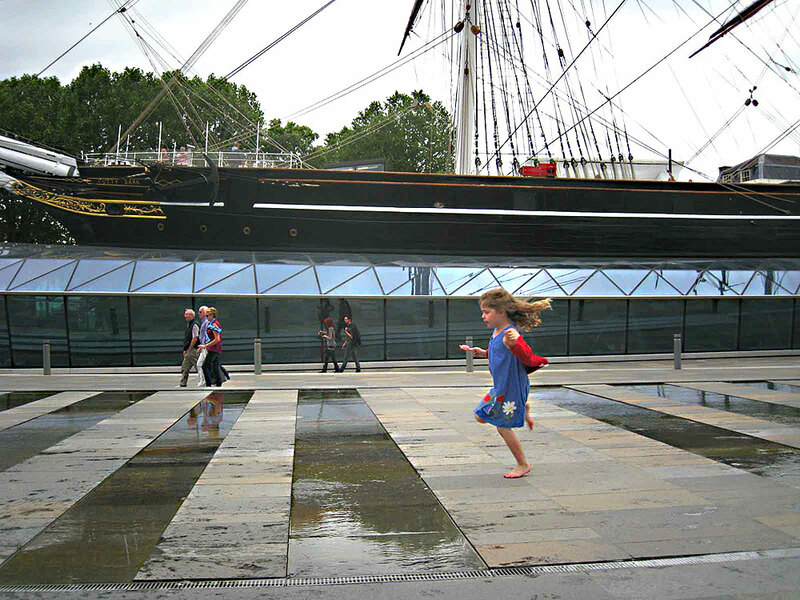 A sense of history is anchored in the area: the Meridian GMT, the Royal Naval College, and the voyages of the Cutty Sark itself. 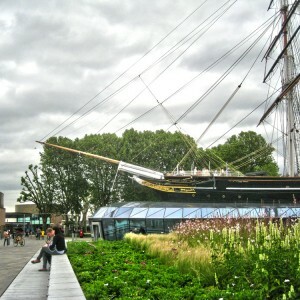 With the Olympics in mind Cutty Sark Gardens will be a gateway to other destinations, while offering an interesting focal point itself. 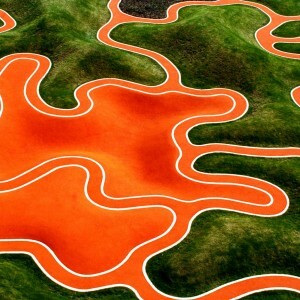 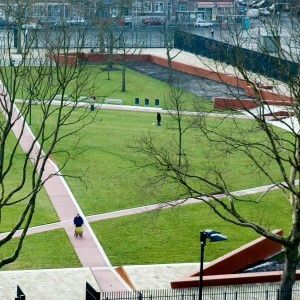 The potential of the area is in strong contrast with the way it is presenting itself at the moment. 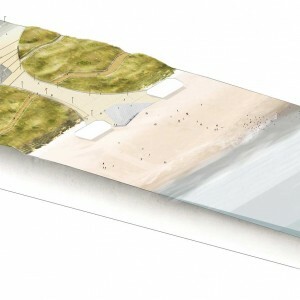 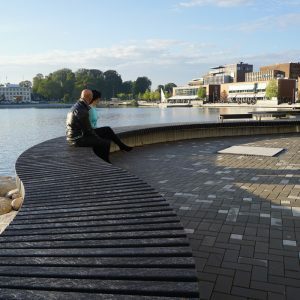 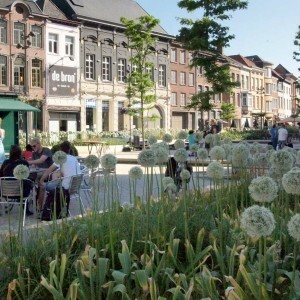 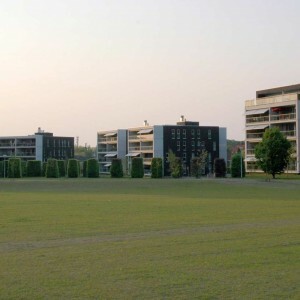 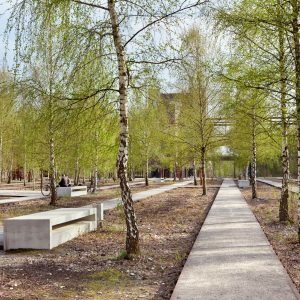 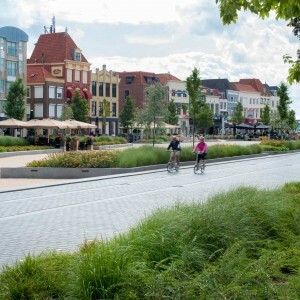 The challenges are to create an attractive place to be and to transform the area into an accessible area, which is not dominated by cars at the entrances. 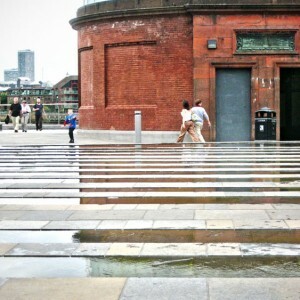 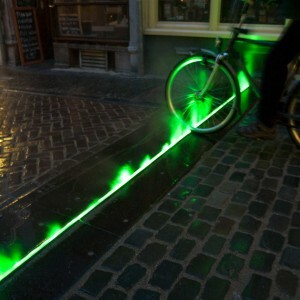 The neglected urban edges have to be transformed into active frontages, which contribute to the vibrancy of the area. 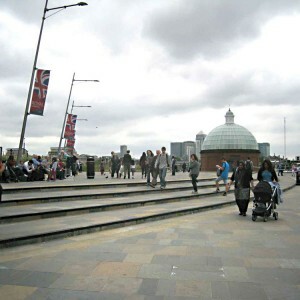 The river walk needs to be changed into a friendly walk, as it is currently dominated by a lot of fences in the view. 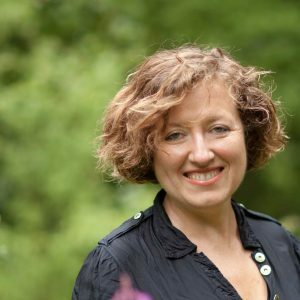 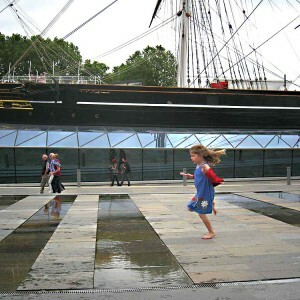 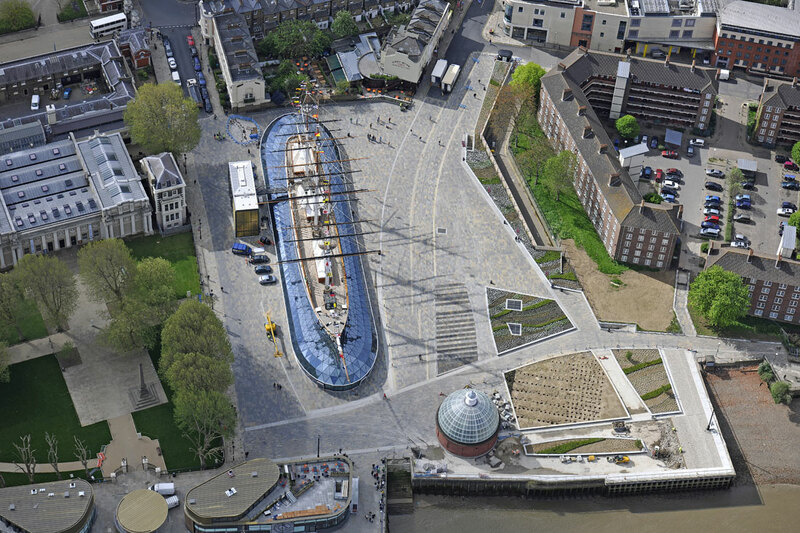 OKRA suggests that the Cutty Sark Gardens will be a tidal square, reacting to flows of people: Quiet in the early hours and large amounts of visitors during holidays. 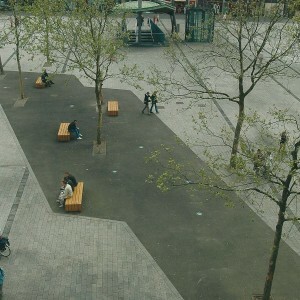 People are coming, staying or passing through. 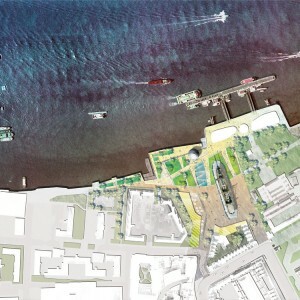 The area is proposed as both urban and green, creating a gradient to the river Thames. 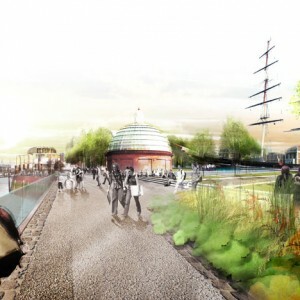 People will experience a sequence of atmospheres: the urban network, the square around Cutty Sark, the gardens and the River Thames’ Walk. 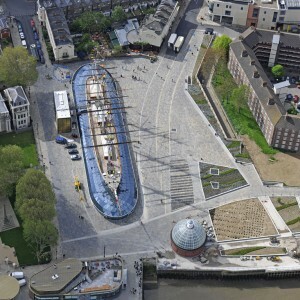 The central position of the Cutty Sark will be strengthened: it will be a sculpture in between the square and the park zone. 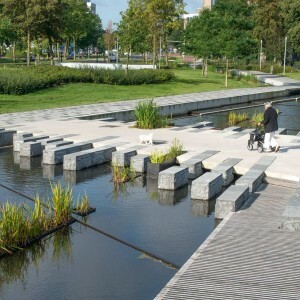 The idea of ‘tidal square’ is based on functional flexibility. 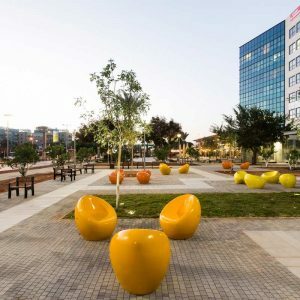 An inviting place, which provides both intimately scaled and large scale spaces and has an ability of adapting to larger and smaller events. 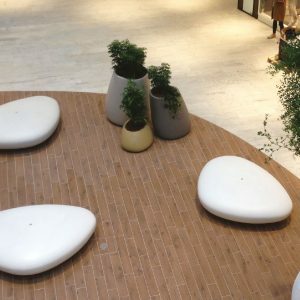 The idea is to reduce and increase space. 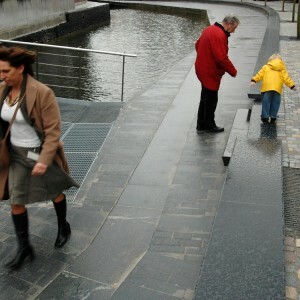 An intimate space will be created when a wet floor and fountains reduce space and create a pool where children can play. 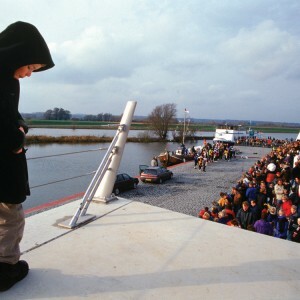 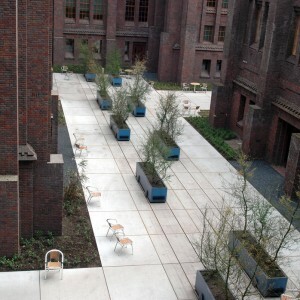 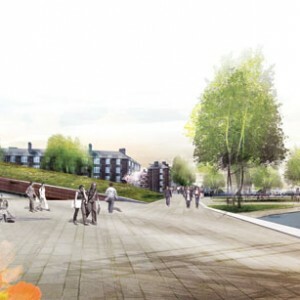 During an event the space will be transformed when the water is removed and a large paved area is available for people to move from one place to another. 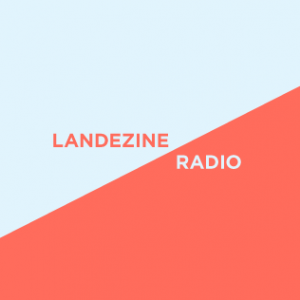 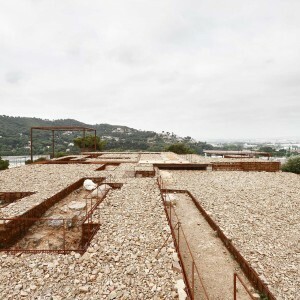 A vibrant and an intimate space will be created, providing a 24h, a weekly and a seasonal rhythm. 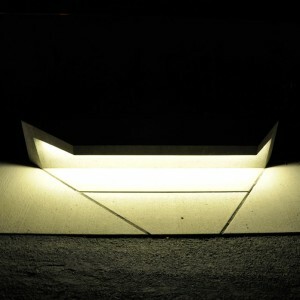 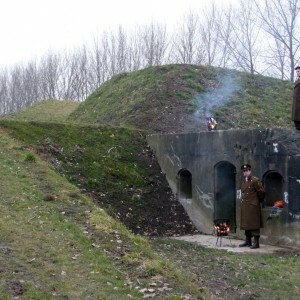 The nightscape supports this and will be both safe and interesting. 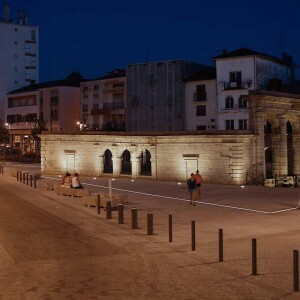 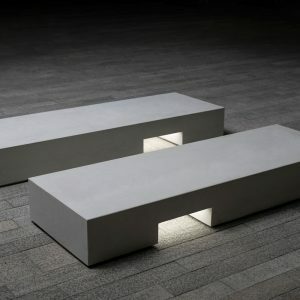 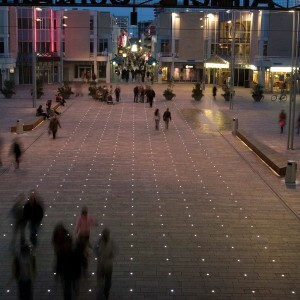 Dynamic lighting and an energy efficient system provides the right amount of light during evening and night, adjusted to the amount of visitors. 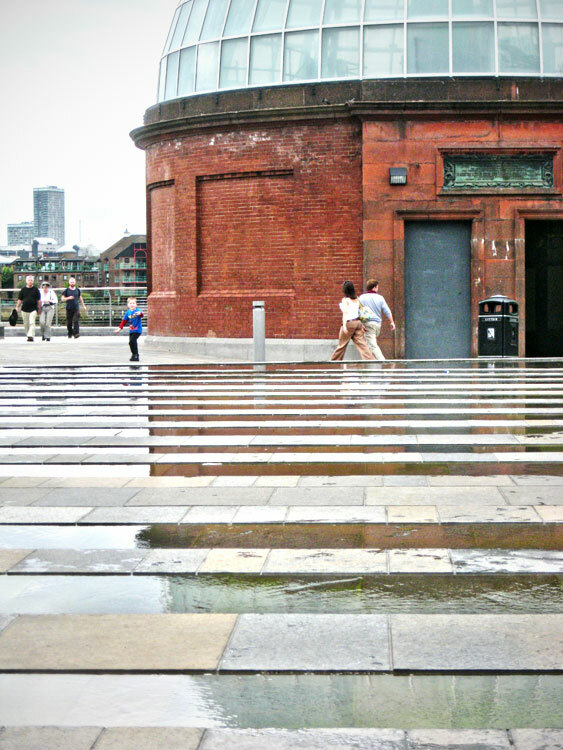 Within the area a tectonic landscape provides easy access on different levels. 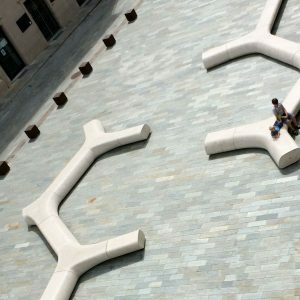 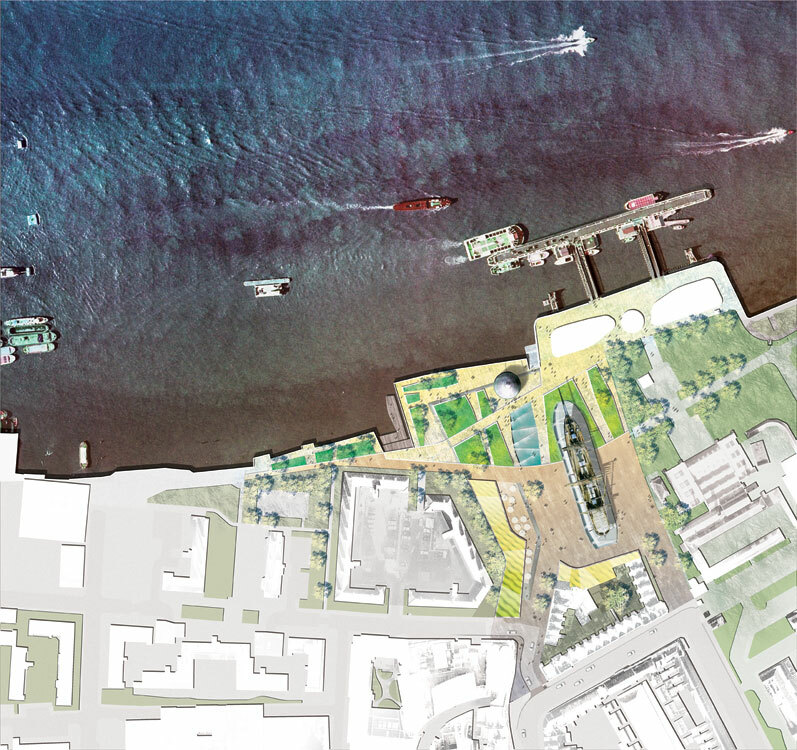 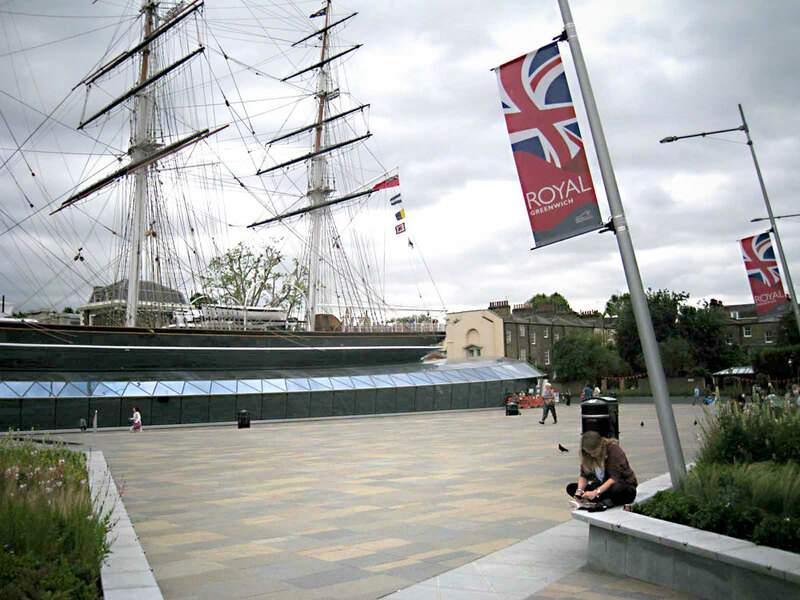 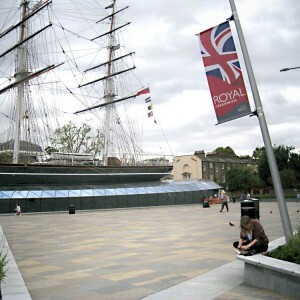 Cutty Sark Gardens will be better connected to its urban environment by an optimized relationship between the sophisticated urban square around Cutty Sark and entrances at Greenwich Church Street and King William Walk. 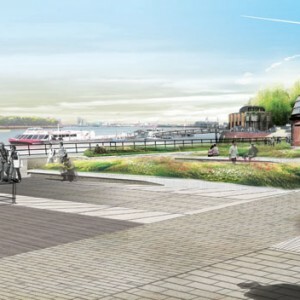 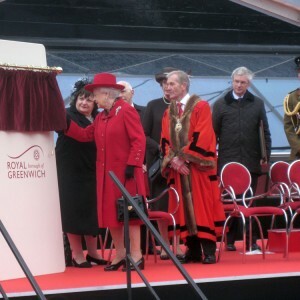 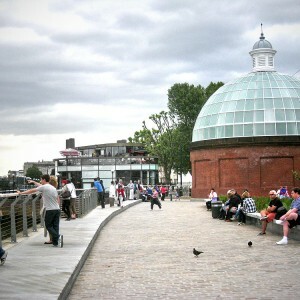 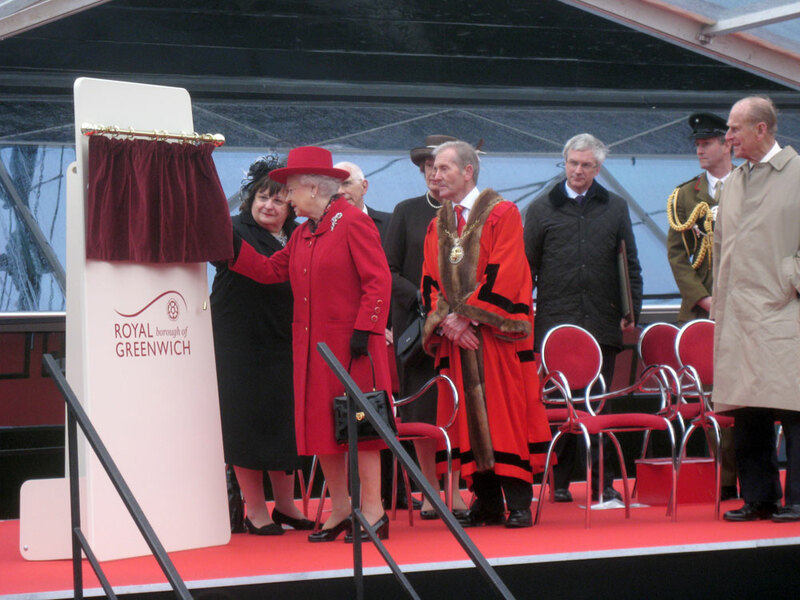 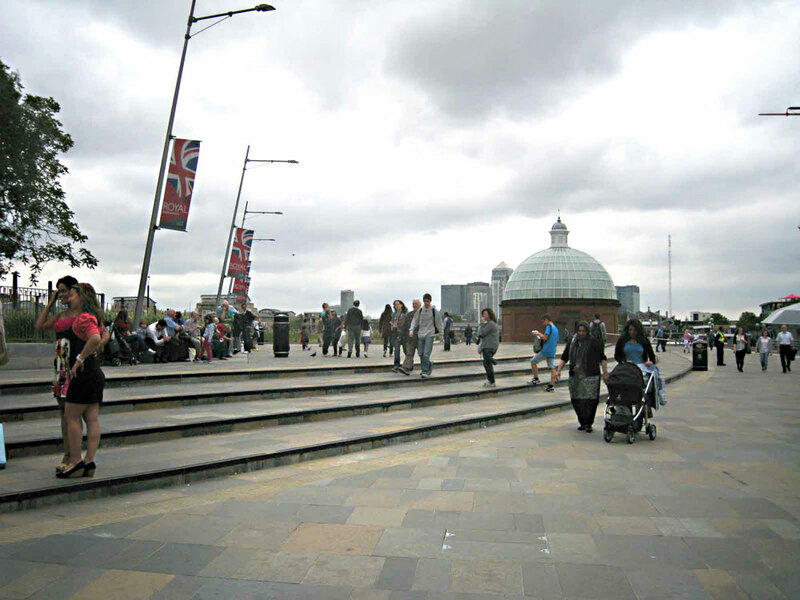 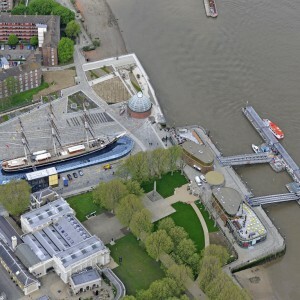 A cyclist and pedestrian route along the river Thames and a better connection to the Royal Naval College will improve access on the other sides. 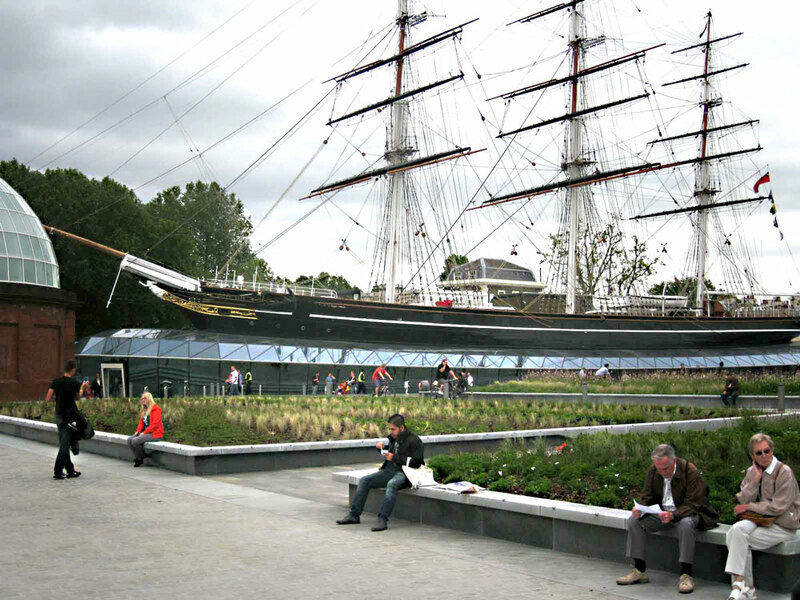 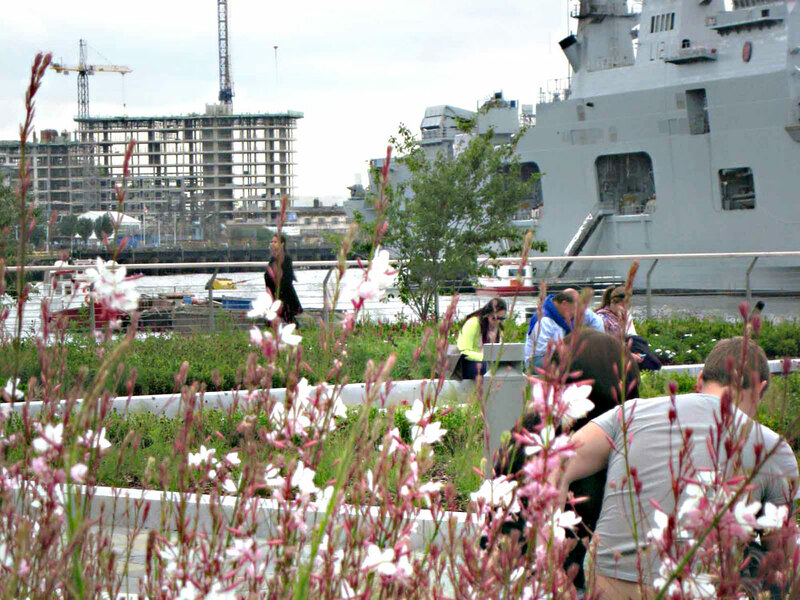 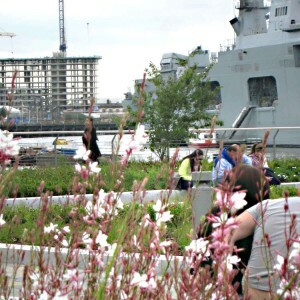 New vibrant facades will change the relationship of Cutty Sark Gardens and the urban tissue. 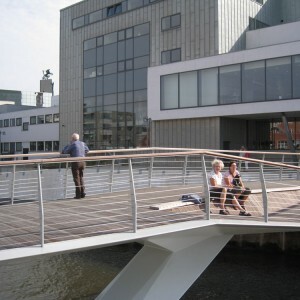 Active frontages change the vitality of urban space radically. 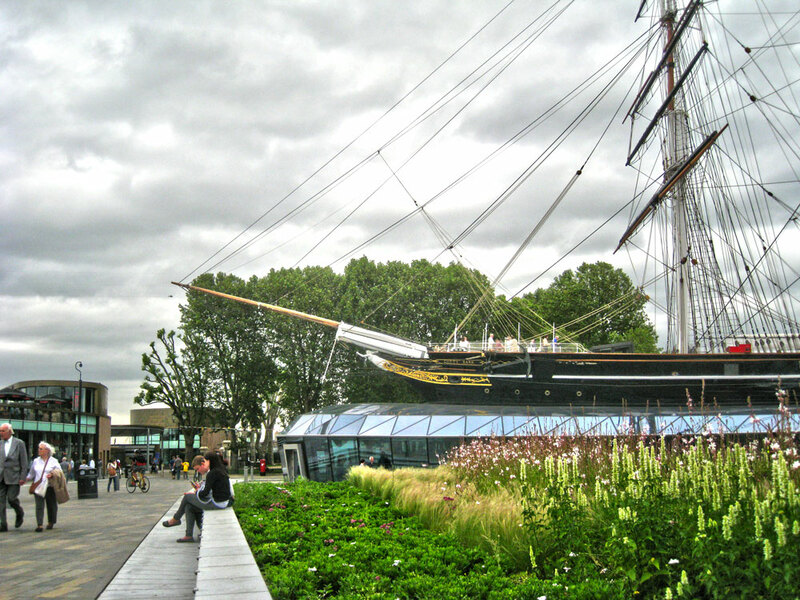 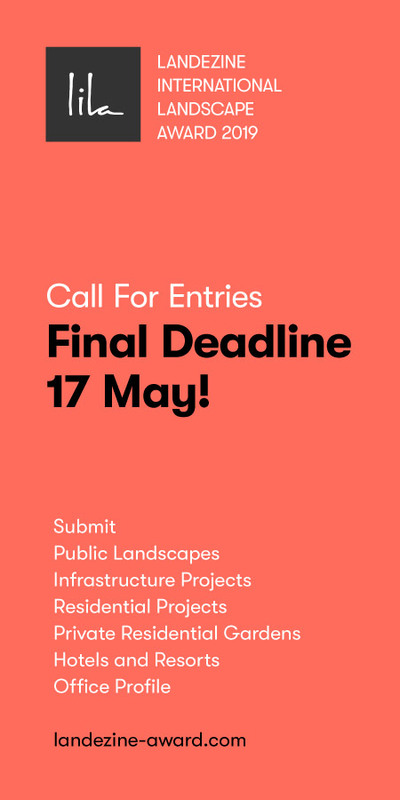 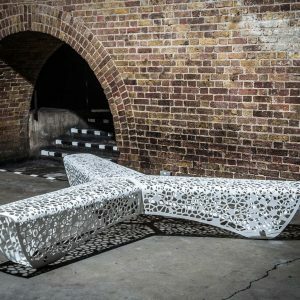 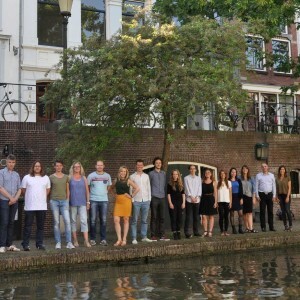 OKRA suggests architecture, which contributes to a seamless connection of the urban tissue and Cutty Sark Gardens. 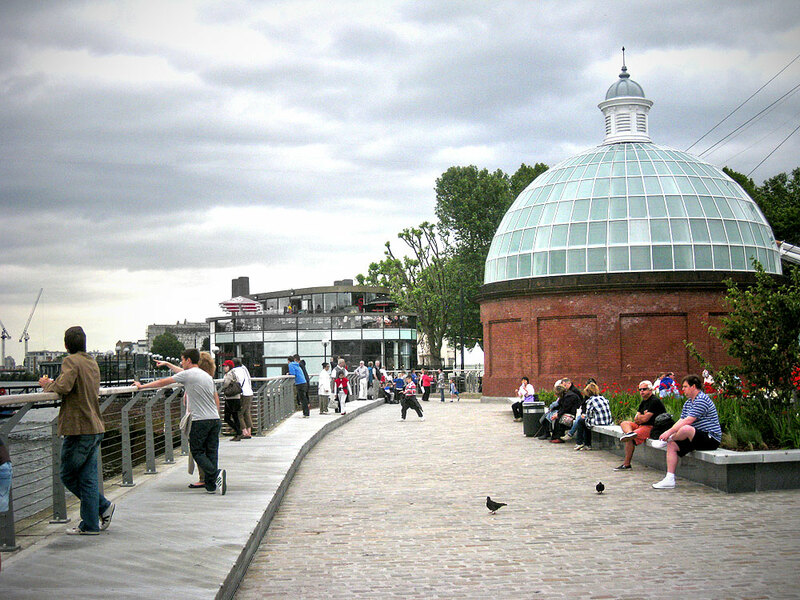 A gently inclining slope on the west side offers potential for commercial activities and kiosks under a green roof. 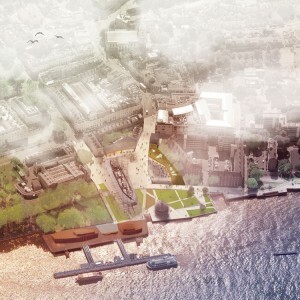 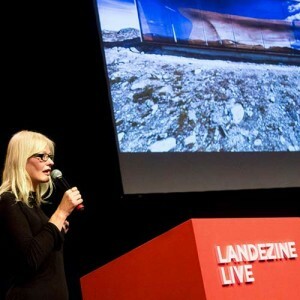 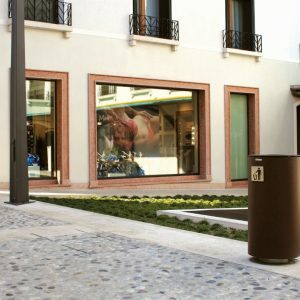 In structuring the south an urban solution will be provided in a more expressive way. 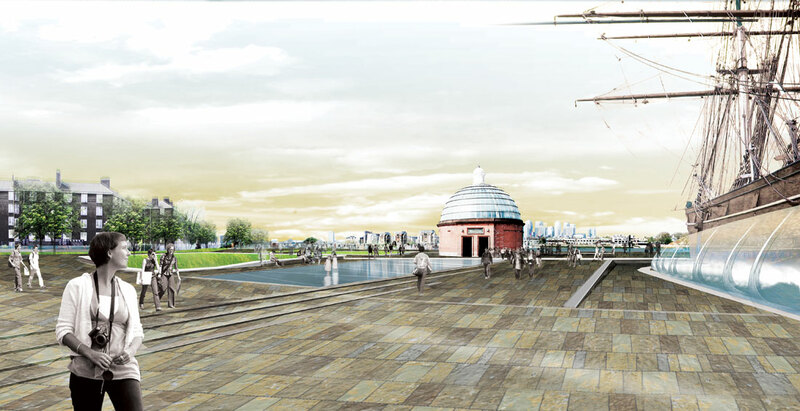 The built environment presents the city to the square and on the other hand creates a facade for the square and a background for the ship. 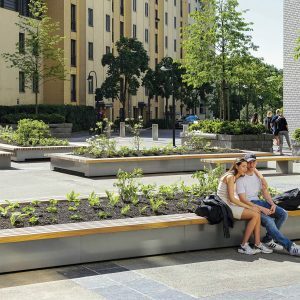 The new ‘tidal square’ will accommodate urban life and create green scenery that is associated with the idea of gardens and parks. 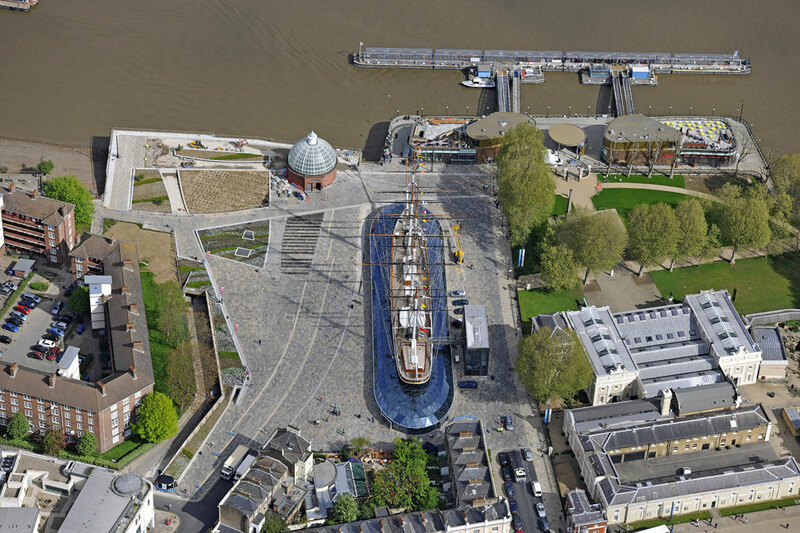 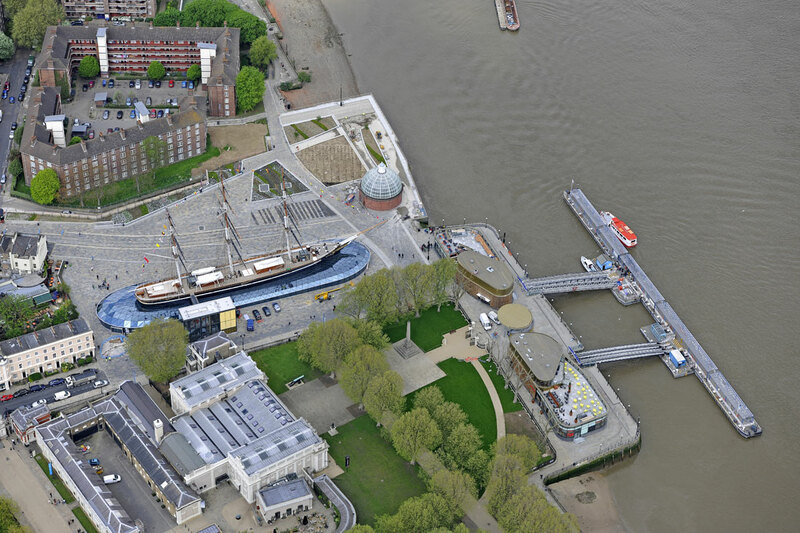 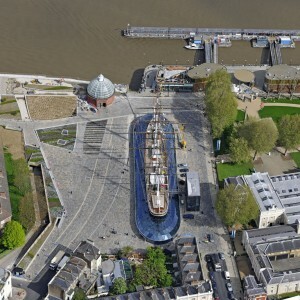 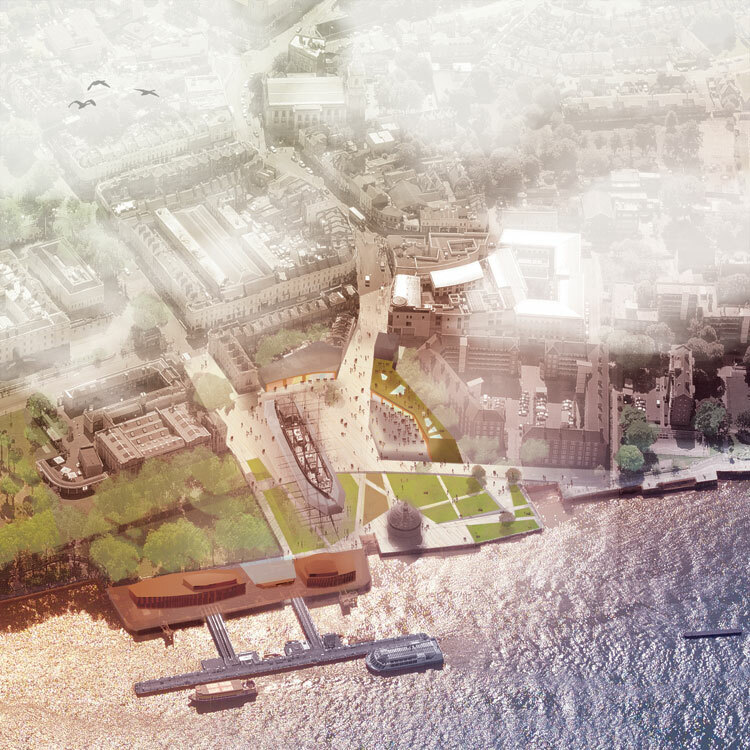 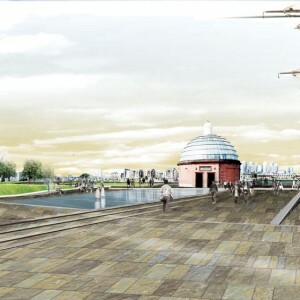 In the future Cutty Sark Gardens will be a prominent area along the river Thames and to the other side by the Greenwich foot tunnel: wide views to the industrial heritage, potential of a green walk towards the Royal Naval College Green. 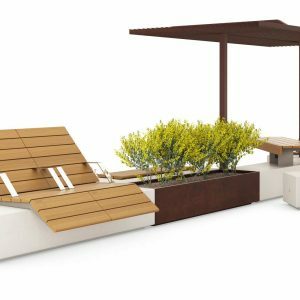 It will be a place to linger and a place of desire.